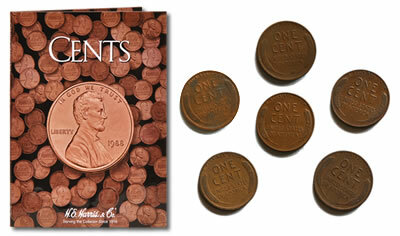 6 Wheat Cents with varied dates - one from each decade between 1910 and 1960. Average Circulated condition or better. The Cent Folder has 90 openings for all types of U.S. Cent coins. Offer available for a limited time while supplies last. Don't miss out!